Millions of people struggle with weight loss these days. Obesity in the US has been on the rise and Europe is catching up. So, when it comes to losing weight, you need to know what to do as well as what not to do. Unfortunately, there are times when your very best efforts are undone by weight loss mistakes that can be avoided. Before we continue you should understand that any weight management program you undertake is most likely focused on reducing the amount of fat your body is storing. Weight encompasses the whole body; fat, muscle, organs, bones, fluids. You want to target the excess fat. So, for purposes of this article, yes, you want to lose weight. But in reality, it’s the excess body fat that you want to get rid of. Unless, of course, you think reducing the size of your muscles is a good idea. Just kidding… of course you don’t. Depending on your circumstances, however, you could find yourself in a situation where you want to build muscle. But that’s a different discussion. 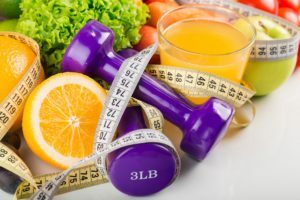 It’s important to understand how your body reacts to your weight loss efforts; how it will respond to a decrease in caloric intake along with increased physical activity. You want to see positive results in the shortest time possible. Doing it the right way will ultimately lead to you reaching your goals; achieving the body you dream of. Be aware that your journey to a better body will be fraught with obstacles to overcome. In this article we will discuss some common weight loss mistakes people make when trying to shed those excess pounds. 1. Trusting the scale is among the weight loss mistakes. One of the weight loss mistakes to avoid is stepping on the scale every day. In fact, you shouldn’t weigh yourself more than once a week. And when you do, your weigh-in time should be consistent, preferably in the morning before breakfast. Weighing yourself on a daily basis is a mistake you should avoid. You need to take into consideration that your weight will fluctuate for any number of reasons. Weight goes up and down due to water retention or just from the food you eat. Even sleep, or lack thereof, will affect the number on the scale on any given day. Not only will you jump to conclusions without proper analysis, it is discouraging. For example, you could lose 1-2 lbs. of fat in a one week period and gain that same amount in lean muscle. That’s the good news. But the scale won’t tell you that so you think you are failing. Absent any other measurements, your own eyes are your best judge of your success. You will actually see the progress you are making. 2. Maintaining a calorie deficit is a must to achieve fat loss. Not maintaining a daily calorie deficit is another weight loss mistake, and it’s a major mistake. This is the backbone of all weight management programs. In general, a daily calorie deficit of about 500 calories should be sufficient to see results. This varies depending on the individual and you should consult with your physician or another health care provider. What is not in dispute is you will not lose fat if you consume more calories than you burn… it just won’t happen. It won’t matter how much you exercise; it will mean nothing if you eat more calories than you burn. 3. All calories are not created equal. You don’t need to be a certified nutritionist to understand that 215 calories from broccoli are more beneficial and nutritious than 215 calories from, let’s say, a Snickers bar. The reason being your body responds differently to the calories from each. The Snickers bar, including its 20g of sugar, will cause your insulin levels to spike and promote fat storage. On the other hand, the broccoli is loaded with fiber that helps to rid your body of fat. You’ll be helping your weight loss efforts if you begin to eat clean. But don’t worry; you can still eat your favorites from time to time. You just need to be smart about it. 4. Cutting calories is another of the weight loss mistakes. When you start a weight loss program, you determine how many calories will put you in a calorie deficit. While this calculation is based on several factors specific to you, the number is generally 500 calories for most people. To then fall below that number just to lose weight faster is not a good idea. Your body needs fuel and calories provide that fuel. Without it, your metabolism slows down. When your metabolism slows down, you burn fewer calories. That’s just sabotaging your efforts for no good reason. That said, there is a time to further reduce your caloric intake. This is when your weight loss slows down and you reach a plateau. That’s when you make this adjustment. Or, if you don’t want to reduce your calories, you can increase your level of physical activity to get things moving again. Until you reach a plateau, don’t make this weight loss mistake; it’s not necessary and it could be harmful. Don’t become impatient. You’ll reach your goal. 5. Did you plan a balanced workout regimen? When you’re trying to lose weight you need to utilize more than just cardio workouts. You need a combination of cardio and weight training to kick your fat burning engine into high gear for maximum results. You need aerobic exercise because it is non-stop movement, and movement is the point. Move fast enough, around 80% of maximum heart rate, and you will burn fat. You need weight training (strength and resistance) to build and maintain muscle. While you are losing weight, you are losing fat and muscle. The weight training will hold on to the muscle. So you need to do both; cardio for fat burning and improved cardiovascular health, strength and resistance training to build muscle and raise your basal metabolic rate for continued fat burning while at rest. Oh, and don’t forget to stay hydrated. It’s very important. 6. Take stock of your current physical condition. Any number of underlying conditions could very well affect your weight loss efforts. The biggest culprit of them all is chronic inflammation. If you are in good health generally, then you probably don’t have this issue. However, if you are obese, diabetic, being treated for high blood pressure, heart disease, anxiety, and fatigue, then consult with your physician. Chances are pretty good chronic inflammation is at the root of some or all of your problems. While a medical professional will prescribe a course of treatment, what you can do immediately is clean up your diet. Removing inflammatory foods from your diet is a necessary first step. Stress is another factor that will hinder your weight loss efforts so you need to take steps to reduce your stress. These are just 6 weight loss mistakes to avoid so that you lose weight successfully. Don’t be impatient. Remember, you want to do it in a healthy way and a smart way. If you gained your excess weight over a period of time, then it will take time to get rid of it. Be consistent and you will see results. Your body knows how to do its job. Now it’s your job to help it along; not get in the way and hinder the process.